By Lucy Fox · Sept. 28, 2015, 7:14 a.m. 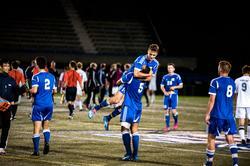 The UBC Thunderbirds men’s soccer team upped the winning streak to four games this weekend with a nail-biting 2-1 win over the UBC Okanagan Heat at Thunderbird Stadium on Saturday night. By Lucy Fox · Oct. 17, 2015, 10:22 p.m. The Thunderbirds women’s rugby team ended their regular season on Friday with a loss to the University of Alberta Pandas, knocking them out of the running for the Canada West playoffs and the CIS Rugby Championships later this fall. By Lucy Fox · Oct. 20, 2015, 1:30 a.m.
On weekday evenings, the walkways and buildings of UBC start to empty as students disperse out of classes, headed home for the night. Yet, in the SUB Ballroom, music is starting to play and couples are taking to the floor; class is starting for the UBC Dance Club. 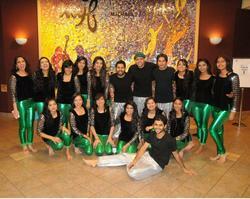 Dancing with the ‘Birds: Salsa to Swing! By Lucy Fox · Oct. 23, 2015, 9:14 p.m. Ever wanted to dance with a little Latin flare? The Latin Dance Club can make that dream come true. By Lucy Fox · Oct. 23, 2015, 9:59 p.m.
With just under ten minutes to go in the game, and a tight scoreline at 20-18 in favour of their Italian opponents, Harry Jones ran onto the field sporting the red Canadian jersey for his first ever match in the Rugby World Cup. By Lucy Fox · Nov. 1, 2015, 7:06 p.m. The Thunderbirds men’s soccer team secured their spot in the Canada West semifinals with a 2-0 win over last years Canada West title holders, the Saskatchewan Huskies. By Lucy Fox · Nov. 6, 2015, 9:56 p.m. In the newest edition of Dancing with the 'Birds, take a look at the hip hop of Unlimited Dance Club, Dance Horizons, a cross-discplinary dance club, and the UBC Ballet Club, a 100 percent student run club for ballet enthusiasts. By Lucy Fox · Nov. 8, 2015, 12:28 a.m. 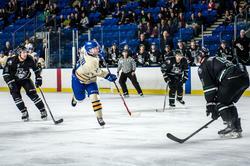 The UBC Thunderbirds are headed to the Canada West gold medal game and have solidified their place in the CIS championships after a commanding 3-0 win over the University of the Fraser Valley Cascades on Friday night. By Lucy Fox · Nov. 13, 2015, 8:36 p.m. 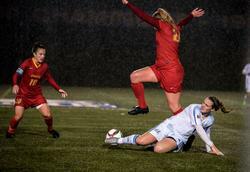 The Thunderbirds women’s soccer team are moving on to the CIS semi-finals after a nail-biting 1-0 win over the Calgary Dinos Thursday night. By Lucy Fox · Nov. 24, 2015, 7:43 p.m. In our final installment of Dancing with the ‘Birds, travel into a world of colourful costumes and high intensity dances from South Asian culture with UBC Bhangra and UBC Junoon. 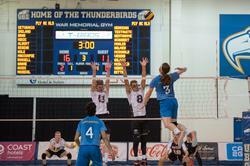 By Lucy Fox · Dec. 2, 2015, 8:41 p.m.
UBC men's volleyball team beat MacEwan Griffins, 3-0 and 3-1, this past weekend to boost their winning streak to four games. By Lucy Fox · Jan. 25, 2016, 7:11 p.m. The 'Birds men’s hockey team lost back-to-back this weekend against the Saskatchewan Huskies with a 6-2 loss at home on Saturday night. “It was a rough game for us. 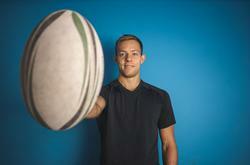 I think Saskatchewan outplayed us,” Thunderbirds defender Wes Vannieuwenhuizen said. By Lucy Fox · Feb. 23, 2016, 11:46 p.m.
UBC’s announced new inductees to the UBC Sports Hall of Fame last week. Among those inducted into the athletes category were track and cross country star Jeff Schiebler, quarterback Jordan Gagner, and basketball player Erica McGuinness. By Lucy Fox · Feb. 26, 2016, 7:20 p.m.
UBC Dance Club will play host to the Gala Ball over the March 5 weekend, welcoming over 230 ballroom dancers to the Great Hall for the first time in the history of the Nest. The event itself consists of all levels of ballroom dance competition. By Lucy Fox · March 18, 2016, 7:22 a.m.
UBC has another provincial winning team, but it isn’t currently varsity even as Canada’s national sport. 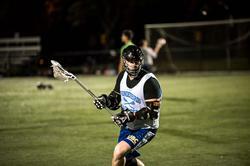 The UBC Thunderbirds Lacrosse Sports Club took first place at last weekend’s BC Men’s Provincial Lacrosse Tier II Championship.